Sometimes it seems like kids are always getting ear infections. 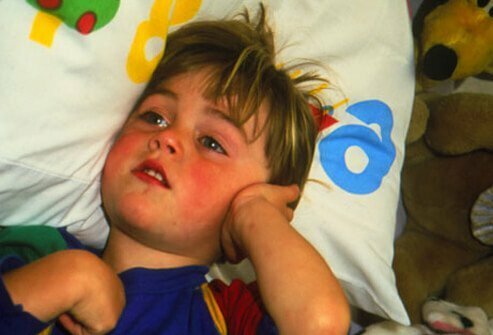 Ear infections are very common in children. Children get ear infections about two out of every three times they have a cold. Children are more prone to ear infections because their small ears do not drain fluid as well as adult ears. Kids’ immune systems are also immature, and this increases the likelihood of certain infections. An infection of the ear canal (the outer ear) is sometimes referred to as swimmer’s ear. The name comes from the fact that it most often occurs when the ear canal stays wet long enough for bacteria or other organisms to grow. The skin lining the ear canal and outer ear offers protection against infections from bacteria and fungi. However, when this skin barrier is broken, bacteria or fungi can invade the ear and cause infection. This ear infection is known as swimmer’s ear or an outer ear infection. Swimmer’s ear can be caused by too much moisture in the ear canal or from inserting something too deep into the ear. Swimming or showering causes the acidic environment of the ear canal to be altered, which allows bacteria or fungi to invade the ear. The lining of the ear canal can also be broken by scratching or injuring from cotton swabs or other objects when inserted into the ear. Other causes of swimmer’s ear include chemicals that irritate the ear canal and skin conditions that cause the skin to crack. 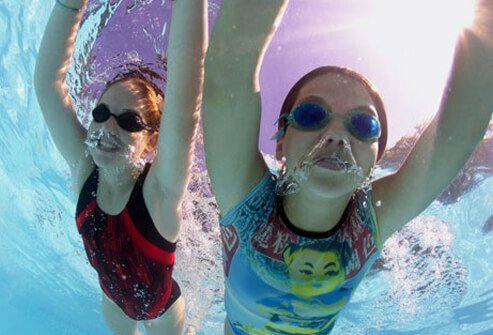 Treatment for swimmer’s ear includes avoiding swimming, over-the-counter pain relievers, and possibly antibiotics. Doctors may prescribe medications that offer symptom relief and clean the affected ear. Home remedies for swimmer’s ear include applying heat to the ear with a heating pad and a white vinegar rinse to help restore the ear canal’s natural pH and reduce swelling. 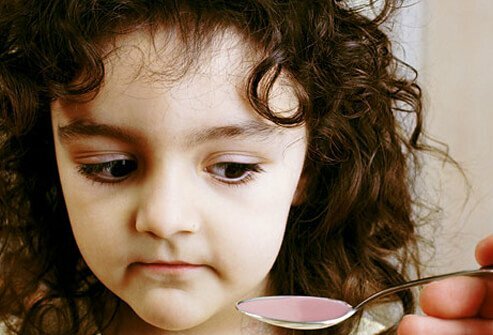 There are some home remedies to help your child’s ear pain. 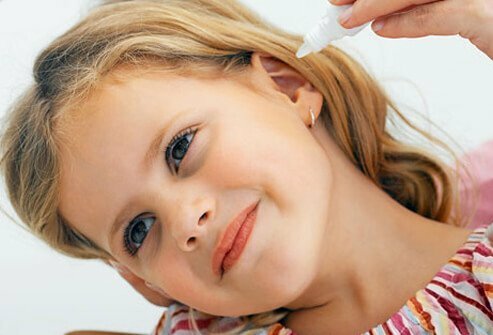 Ear drops can bring relief, but these should not be used without checking with your child’s doctor first. Over-the-counter pain and fever medications such as acetaminophen and ibuprofen are used. However, you should never give aspirin to children. Warm washcloths applied to the outside of the ear may be helpful in reliving some pain. 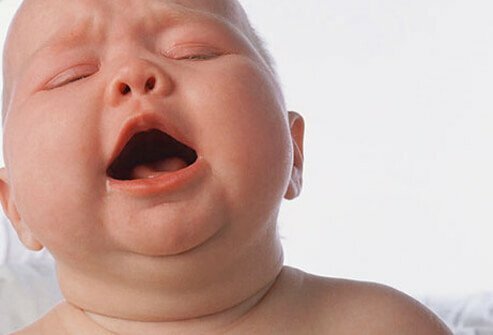 Gargling with salt water may help soothe an aggravated throat and possibly clear the Eustachian tubes. A few drops of warmed olive oil in the ears may soothe ear pain, but it is suggested to speak with your child’s doctor beforehand. 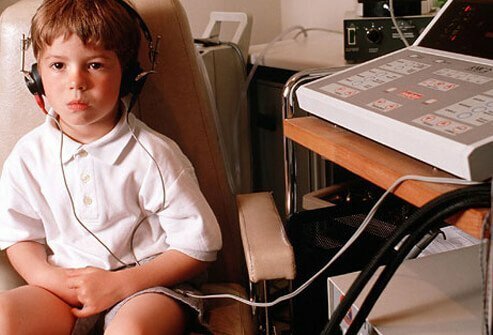 Repeated ear infections can lead to scarring of the eardrums. Over time, this can cause hearing and speech problems. 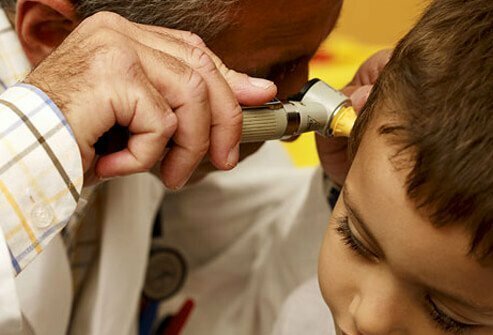 Your doctor may recommend having your child’s hearing tested if he or she has frequent ear infections. 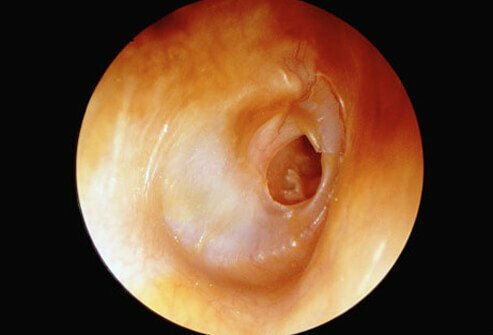 A ruptured eardrum can also be the result of ongoing ear infections. 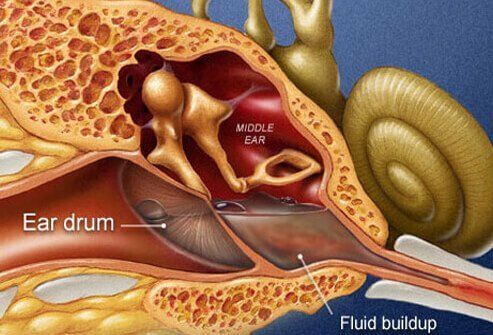 If fluid continues to build up in the middle ear, the eardrum may burst. 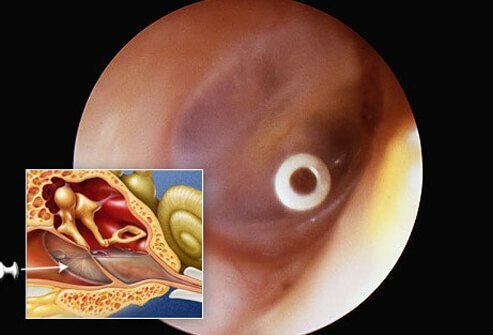 Chronic suppurative otitis media, chronic inflammation of the middle ear and mastoid cavity, can also develop if there is ongoing inflammation of the middle ear. 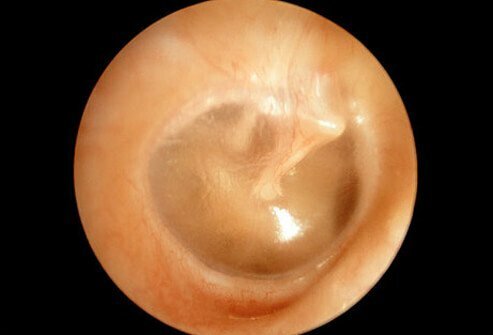 This condition can cause some hearing loss, but it also can usually be treated with antibiotics. Ear infections are not contagious. However, many children develop ear infections after a cold or other viral infection. Since viral infections are contagious, it is important to do your best to prevent illness. By preventing colds, you’re also taking steps to prevent ear infections. 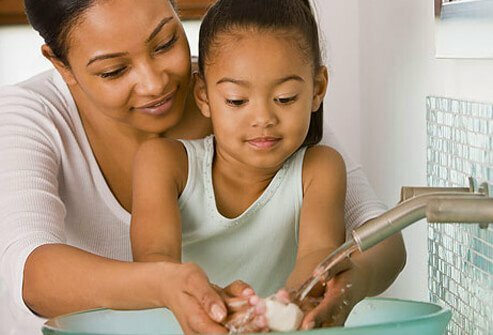 Thorough handwashing is the best way to prevent colds. Other preventive measures against infection include avoiding secondhand smoke, receiving the annual seasonal flu vaccine, and breastfeeding babies for at least 6 months to enhance their immune systems. 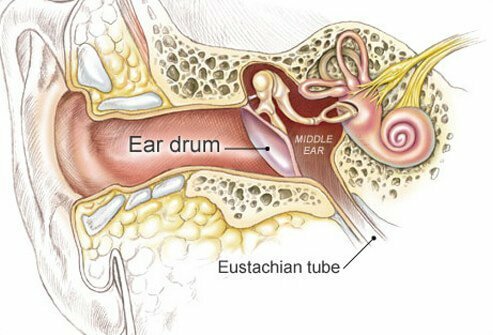 Allergies can cause inflammation and contribute to ear infections by interfering with the Eustachian tube’s ability to let air pass into the middle ear. However, in children under two years of age, allergies are usually not the main cause of ear infections. 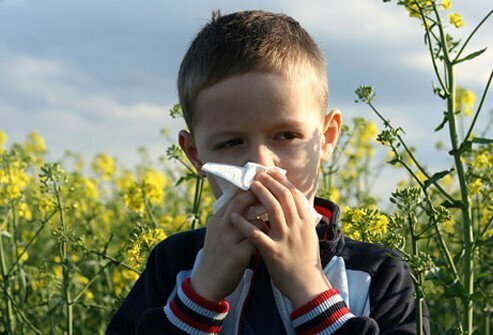 Allergy testing can identify the allergen triggers for your child. Medications or allergy shots usually can bring relief and also lessen the likelihood of ear infections.